A school's mission statement should be succinct but scintillating, reflecting what the staff will do together to make the school what they want it to be for students. The process of developing the mission statement is as important as the product. Here's help, including examples of statements gathered from schools across the globe. A school's mission statement could be described as a philosophical road map developed to guide and inspire those who share the responsibility for making the school what they agree it should be for students. Arrived at by consensus among those who are responsible for the education and general welfare of students, this road map serves to keep all stakeholders moving toward a single destination: the most effective school possible for their students. Developed properly, the mission statement reflects the shared goals of the school and community. In the case of a school mission statement, less is more; it should be concise - a sound bite representing your school's goals. Because slogans have more "punch" than long and convoluted dissertations, brevity - though challenging to achieve - is most efficient. Another consideration regarding length is that the mission statement will be shared with parents and the community in newsletters and school handbooks, on the school web site, and perhaps displayed on signboards at the entrance to the school, so the most economical use of words is wise. 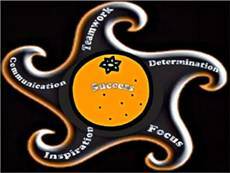 As important as the completed mission statement is, the process of creating it is equally valuable because the effort forces reflection, collaboration and agreement in order to define and come together to identify, state, then work together to achieve the school's goals. So, one school's mission statement is just that: one school's mission statement… stating goals that are unique to its school and community. It cannot be borrowed or bought. The articulation and examination of collective goals are integral to the development of a meaningful mission statement. To inspire you as you embark upon the creation of a school mission statement, we've collected some statements created for schools in many locations. These examples, submitted by members of the Teachers.Net community reflect the goals, aspirations, dedication and commitment to excellence among those who guide students along the path to success. While not meant to replace the process of developing your own mission statement, perhaps this collection will help place your school on the road to success as your school community works to put intoits own words your school's reason for being. What is your school's mission statement? How long ago was your mission statement created? In your opinion, how important is a school mission statement to the success of the school? How often and in what ways does your staff review and revisit your mission statement? We are a caring community committed to provide students with a quality, wholistic education that instills a Biblical worldview, a love and respect for all cultures, a zeal for lifelong learning and a passion for personal excellence. The mission of The Montessori School of Camden [SC] is to engage students to become peaceful citizens of the global community using the Montessori approach to nurture in them an enthusiasm for learning, resourcefulness, a sense of responsibility for their actions, and respect for themselves, others, and their environment. To provide all students the opportunity for academic and social success through a positive environment of learning and encouragement. To create independent, successful learners and good citizens by engaging students in meaningful, hands on experiences in a positive environment. To provide a foundation, with an emphasis on math and literacy, for all students to achieve their maximum potential in order to become independent life-long learners and positive contributing members of society. Our mission is to provide a quality education for all students by teaching them the skills, strategies, and values they need and by developing partnerships between the school, parents, and the community in order to enable all students to meet their potential as life long learners and responsible citizens. The mission of Concordia Christian Academy is to build a new generation of Christian leaders prepared to thrive in a rapidly changing world. The Mission of Lincoln Elementary Magnet School with family and community support, is to provide an appropriate learning environment in order for students to succeed in academics, and develop patriotism, citizenship, and self-esteem. We commit ourselves in love to train parents and children to obey God, instructing them through academic excellence to be salt and light in the world. Our school will create a secure community that will instill in all students a desire for academic excellence, fostering the development of caring, productive citizens. Parish Hill fosters academic and personal excellence, develops the ideals of respect, integrity and fairness, and embraces community participation within a safe school environment. The mission of the Cotton Boll Elementary School (Peoria, AZ) staff is to work cooperatively with parents, students and community members to help students become productive and responsible citizens in the 21st century. Students will be taught to communicate effectively through the mastery of problem solving, critical thinking, life management, and communication skills. Students will be taught skills, which will enable them to function effectively in, and contribute to, a technological society and global economy. Students will be provided with opportunities to grow academically, emotionally, socially, physically, and culturally, with recognition of individual differences. In a non-threatening and supportive environment, students will be encouraged to achieve goals, objectives, and exit outcomes set forth by the Peoria Unified School District. Our mission at North Augusta Elementary is to work cooperatively with parents and the community to promote academic success and critical thinking in a safe, challenging environment with high expectations in order to develop lifelong learners. The goal of New Bedford (Massachusetts) High School is to prepare well-read, productive young adults who are effective problem solvers and decision makers. They will be confident lifelong learners able to thrive in a global technological society. To this end, the administration, faculty, and staff provide a safe and secure environment in which all students can learn. Because all students are valued individuals with unique personal and academic needs, the school offers a balance of traditional and innovative programs and strategies to help them develop their strengths and self-esteem. All students benefit from a climate of cultural diversity that increases their appreciation of different peoples. The school staff, parents, and the community share the mission of helping students become responsible and well rounded citizens. The mission of Booker T. Washington High School (Norfolk, VA), in partnership with the community, is to provide meaningful and challenging learning experiences in a safe environment, fostering students' individual strengths and self-discipline, promoting unity among diversity, expanding academic horizons, developing marketable skills, and encouraging all students to achieve high personal goals. We prepare our students for a complex and ever changing world in a safe, healthy and nurturing environment.